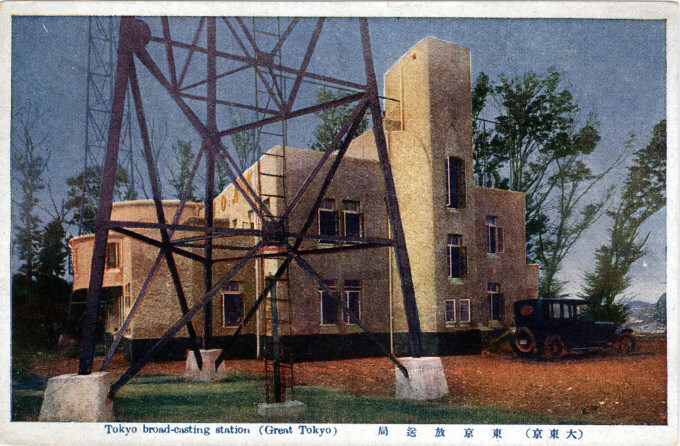 Tokyo Broadcasting Station (Radio Japan), studios and transmission towers, c. 1930. 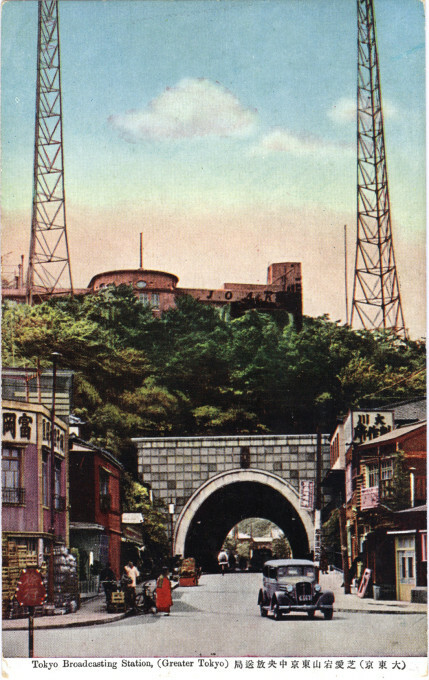 JOAK, Radio Japan, Atago Hill, c. 1940. — Tokyo Rising: The City Since The Earthquake, Edward Seidensticker, 1990. 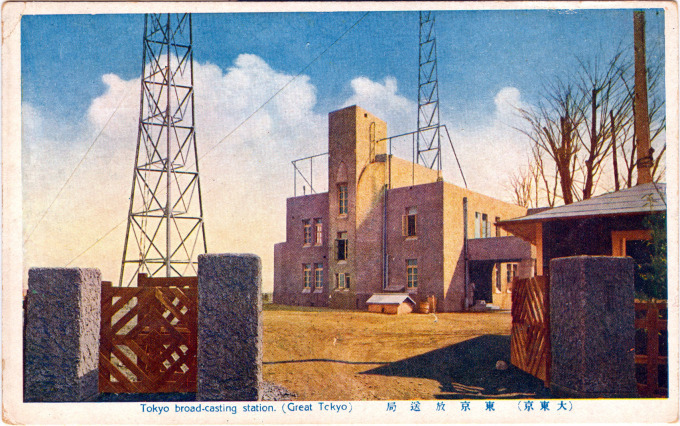 “Tokyo broad-casting station” (Radio Japan), c. 1930.